Yangon’s most majestic landmark towers over the city from the top of Singuttara Hill. 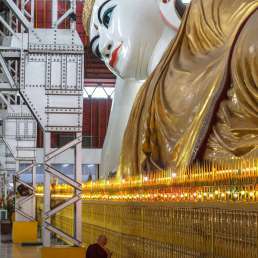 The pagoda is 99 metres high and covered with shining gold plates. It has been the centre of religious life in this part of Myanmar for many centuries. The pagoda’s layout is intricate, while the complex surrounding it is vast, occupying almost 50 hectares. 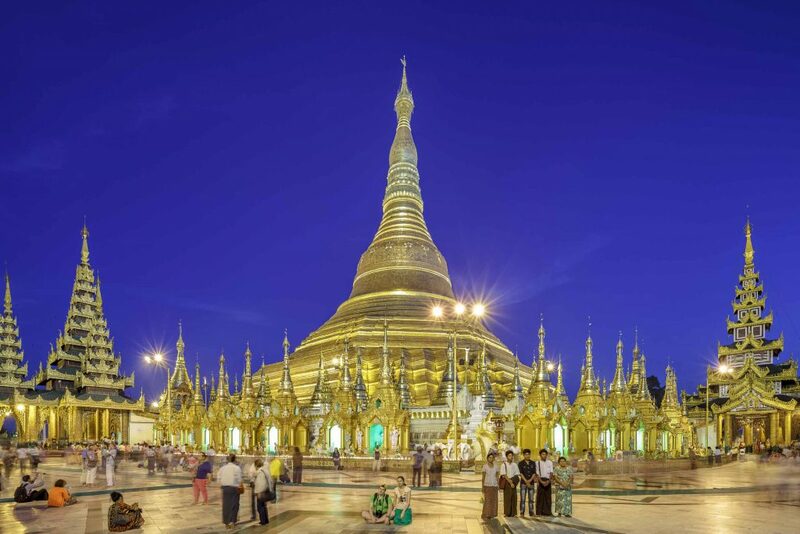 Apart from being the most important centre of Buddhism in Myanmar, the Shwedagon Pagoda has been a focal point for military occupation during colonial times and a rallying place in Burma’s quest for independence. It would later become an important civic space for political resistance. 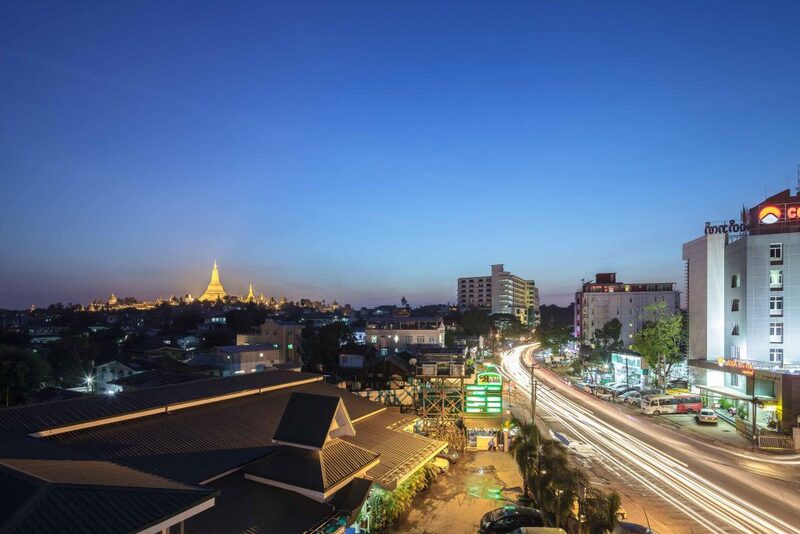 It continues to—and forever will—hold a unique position in Yangon’s urban fabric. In local legend, the two merchant brothers Tapussa and Bhallika offered the Buddha alms in the 6th century BC. They received eight strands of his hair as a blessing before they travelled to today’s Lower Myanmar. Then-king Okkalapa enshrined the hairs in what was to become the present-day pagoda. As Buddhism is thought to have come to Burma later, and from South India as opposed to North India, it is more likely that the original Shwedagon was built by local Mon people between the 6th and 10th century AD. The main stupa itself is a more recent addition, dating back about five centuries. Queen Shin Sawbu raised the structure and, before her death, had her own weight in gold added to the stupa as gilding—thus starting a long tradition. The pagoda was raised again to its current height of just under 100 metres by King Hsinbyushin in 1774 after an earthquake caused some serious damage to the previous structure. Over the centuries, many additions were made to the compound of the pagoda, such as dozens of shrines, assembly halls, monasteries and four monumental stairways, or zaungdans, which ascend Singuttara Hill from all four cardinal directions, with the one from the west being the longest. 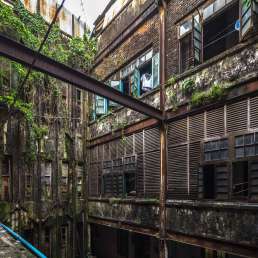 The 20th century saw a number of local Burmese merchants rising to considerable wealth. Many of them became benefactors of the Shwedagon Pagoda. One of them was U Po Tha, who donated the funds to build Chaukhtatgyi Pagoda in Bahan township and contributed the Shwedagon’s Northern Devotional Hall in the late 1920s. Most of this early 20th century architecture was traditional in form but relied on European engineering advances to increase the height and elaborateness of tiered roofing, for example at the southern entrance. Woodcarving also became more extensive. Many structures surrounding the stupa have been built and rebuilt over the last decades, especially since a devastating fire in 1931 destroyed most of the wooden elements at the eastern and western sides of the platform. Three out of the four zaungdans are lined with stalls selling Buddha statues and devotional flowers, among many other items. Visitors can also use the elevators such as the one conveniently located at the southern entrance. Footwear is not allowed anywhere beyond the base of the hill, where provisions are made for its storage. As this limits the freedom to exit the pagoda via another stairway, you are advised to carry shoes in your rucksack. Guides will approach foreign visitors—their tours generally offer decent value for money, especially if you are visiting the pagoda with a group. For those on a shoestring, the map given at the entrance is very detailed and informative. The best way to experience the Shwedagon is to forget about the facts and history for a while: simply appreciate the spirituality of the place, especially in the early morning hours or late in the evening, when the heat is less torrid and fewer tourists visit. Upon entering the main terrace, the stupa looks even more impressive at close distance. Many smaller stupas, pavilions and tall prayer posts surround it, creating a labyrinth of built structures on the outer ring of the encircling passageway, which is about 50 metres wide and covered in marble. 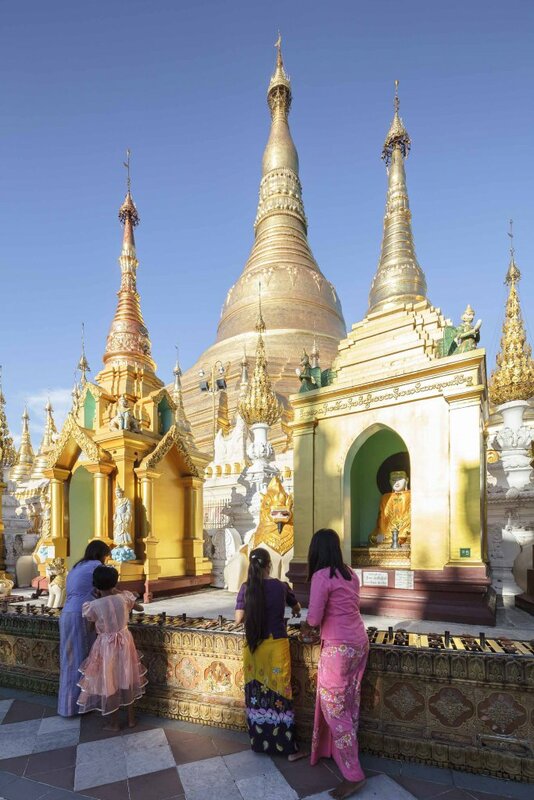 Each local visitor has his or her own path when visiting the Shwedagon. 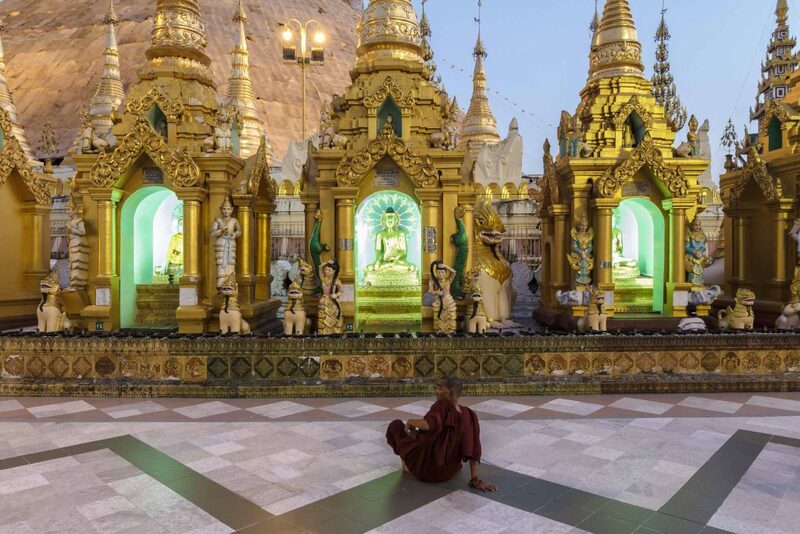 As Professor Elizabeth Moore of the School of Oriental and African Studies describes in her paper about “unexpected spaces” at the Shwedagon, each of them creates “a personal narrative in the physical and poetic space of the pagoda”. (The paper is worth reading for those interested in the practices and rituals in more detail. For bibliographic information, go here.) Many choose the clockwise walk around the stupa (circumambulation). Others venerate one of the four Buddhas of the current era (of which Gautama is the most recent; his hairs are also enshrined at the Shwedagon), while still others offer their wishes before planetary shrines and those dedicated to the eight Buddhist days of the week (with Wednesday partitioned into am and pm). Lastly, there are visitors who seek out cult images on display here. 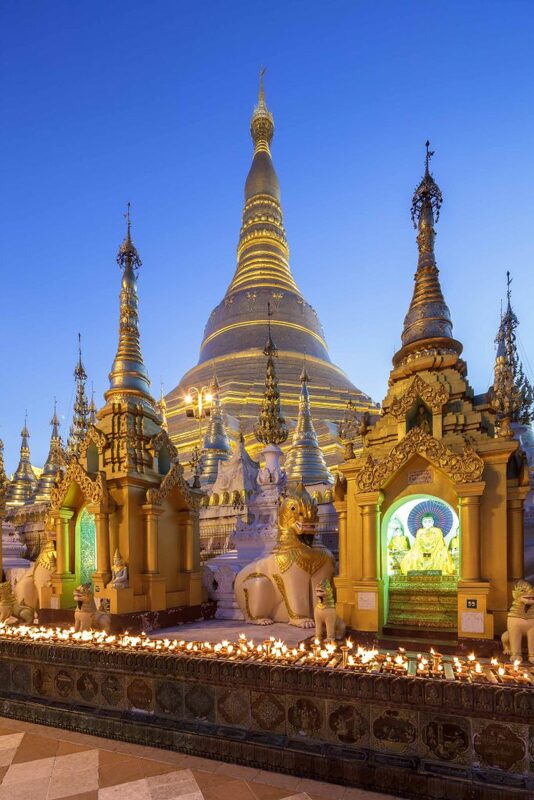 The Shwedagon Pagoda is the living presence of the Buddha. Some see the lower, middle and upper levels as the Buddha, the teachings (dhamma) and the monkhood (sangha) respectively. Others think of the whole stupa as the Buddha in a seating position, with the umbrella (hti) at its top being its head. 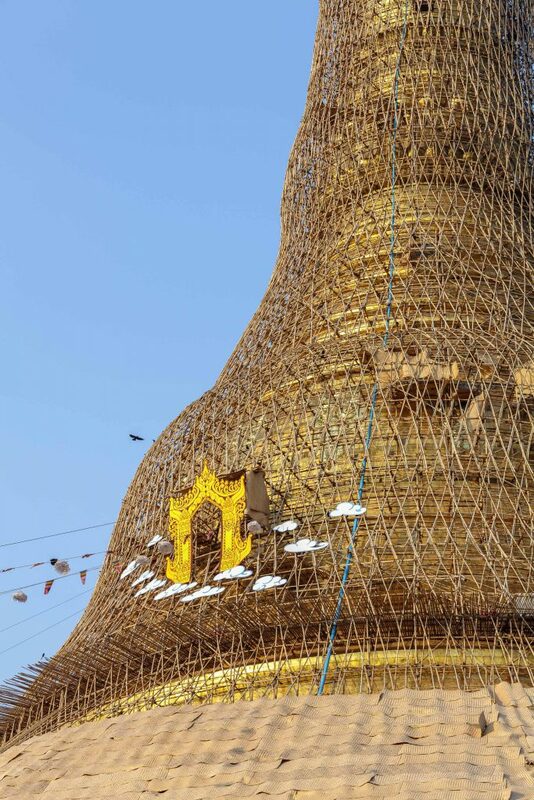 The amount of gold covering the pagoda is the subject of some speculation. Regardless of how many tons there already are, new layers of coating are added every five years alongside a renovation and re-polishing of the stupa. For this, an intricate scaffolding is installed, in itself an elaborate work of art performed by experienced contractors —seemingly unafraid of the dizzying heights. The Shwedagon Pagoda was occupied by British forces during the Second Anglo–Burmese War. It would remain under colonial administration for almost 80 years before being returned to the Burmese in 1929. 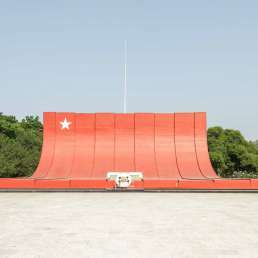 Much of the adjacent land was used for military purposes, as the pagoda was located in the cantonment area of Rangoon. A map from 1914 shows the Shwedagon surrounded by rifle ranges in the north, coolie lines (denoting imperial soldiers from India) and artillery barracks in the west as well as European infantry barracks to the south. 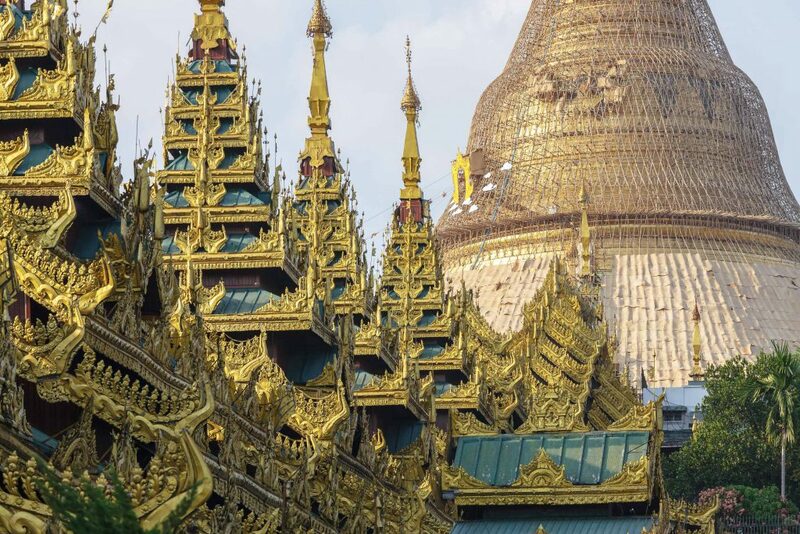 The spiritual importance of the Shwedagon Pagoda —and its insulting re-appropriation as a strategic military location by the colonial authority —made it a focal point of the independence movement. 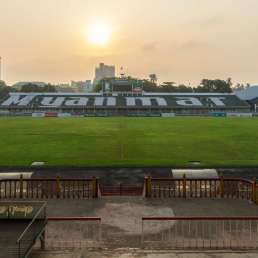 In 1920, students from Rangoon College met here to launch the University Boycott, which we describe in the section about Myoma National High School. A small plaque in the southwestern section of the middle platform commemorates the students who took part in the protest. In 1938, striking oil workers established a camp at the foot of the pagoda, firmly establishing the Shwedagon as a symbolic site of political protest. 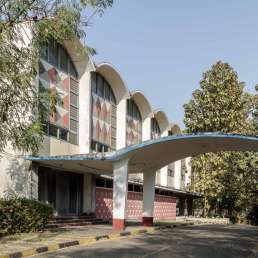 After the war, and on the eve of Burmese independence, General Aung San gave a rousing speech to a nationalist meeting convened here. Forty-two years later, his daughter would address several hundreds of thousands of demonstrators at a pivotal moment in the democracy movement’s struggle against dictatorship. In 2007, the “‘Saffron Revolution” largely led by monks saw thousands converge towards the pagoda, too. Today the Shwedagon’s position above Yangon is challenged by tall construction projects. In an attempt to safeguard its towering symbolism, buildings constructed within a one-mile radius of the pagoda must be no more than six storeys high. To further protect the skyline as seen from the downtown area, buildings in the line of sight beyond this radius, to the south, must not exceed the total height of the hill plus the pagoda (approximately 160 metres). This begs the question of where the skyline can best be admired. Downtown’s narrow streetscape prevents clear views in most directions anyway; only from the top of tall buildings and closer up can you really take in the Shwedagon. The top of the Sule Shangri-La or the Sakura Tower offer compelling views. Buildings of a similar height are being built between the Shwedagon and the waterfront (though some of these projects were suspended in February 2015, precisely due to concerns over their proximity to the pagoda). Vista Bar, on West Shwegondaing Road, is a popular venue to watch the stupa glow from up close in the night time. While Yangon’s skyline is likely to change dramatically in the coming years, one thing is sure: none of us will ever experience the magic of the Shwedagon as 19th-century travellers did, slowly approaching the city’s port on ships.